Hmmm not sure, told me opposite to others and added my ex's new gf is lovely and he's found the one, not really what I wanted to hear. Didn't really answer my question. Nice lady though. Emily is amazing, she gives so much information and guidance. 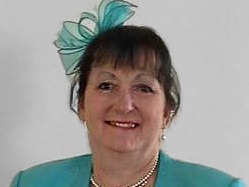 I cant recommend this lady enough, didn't waste time, clear information given, I would like to thank her also very much, actually loads of information given a true psychic gem ,connects well and no waffle, she reassured me and has given me peace of mind, if you are unsure who to pick this lady is a seriously good choice. Cant thank her enough. Simon XXXXX This lady has a true gift. I had a reading today with Emily which was great. She quickly got to the crux of the matter and tuned into my current situation. I felt much calmer after the reading and my thinking is much clearer. Thank you for your input today Emily.